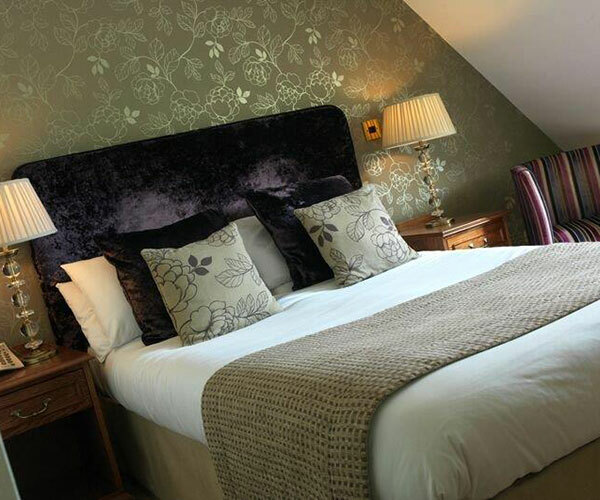 Our cosy rooms are all individually designed and decorated giving you that personal touch. Our independently owned hotel & spa is unique in that each of our 37 bedrooms are individually furnished and decorated, thus ensuring that each one has its own special character. You can choose from standard, club and a variety of suites. Located in a tranquil country setting, yet it is only five minute drive from the A1 and the motorway and close to Wetherby race course. Knaresborough and Harrogate are all within a short drive from The Bridge. Well know attractions such as Newby Hall, Fountains Abbey, Lightwater Valley and the North Yorkshire Dales. Complimentary pre booked shuttle services for residents to and from the local train station (Cattal) between the hours of 9am and 5pm Monday – Friday. 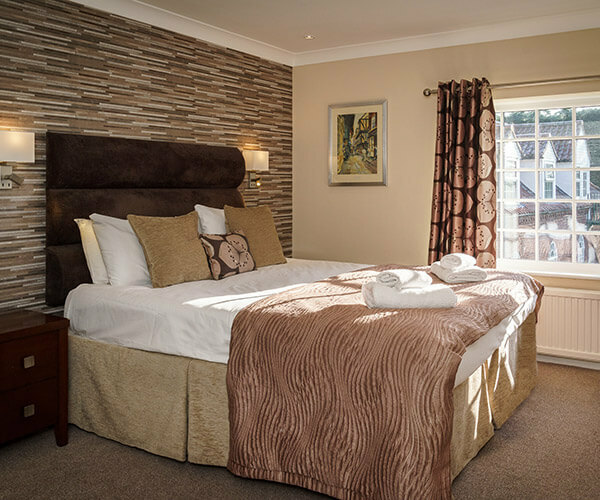 Our cosy standard bedrooms are all individually designed and decorated giving you that personal touch. We have 19 standard rooms with a variety of twin and double rooms available. We have 13 club rooms with a variety of twin and double rooms available. 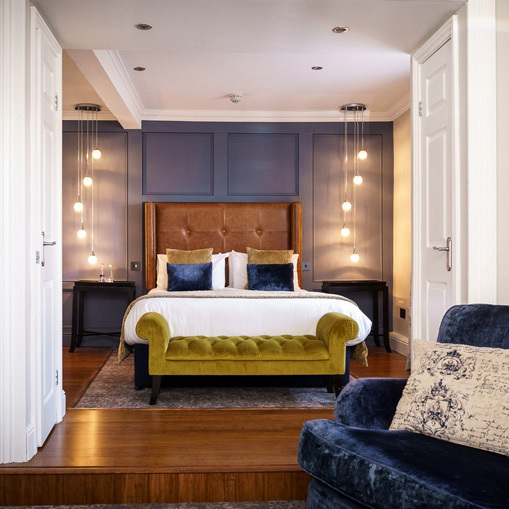 Our luxury suites are sumptuous, offering you extra space & comfort for your extra special stay. Each bedroom has been stylishly designed with vibrant fabrics and colour scheme offering you a real treat. Your comfort when visiting The Bridge is our primary concern and we want to make sure we do everything possible to make our facilities accessible to you and your guests. We have one accessible room on the ground floor, with a selection of rooms with walk in showers. We do also have portable ramps available throughout the hotel for access in to our Courtyard Restaurant, Byron Whiskey Bar and Walshford Suite. We have one disabled toilet which is located near the Ribston and the Byron Whiskey Bar which has a grab rail by the toilet and an alarm cord fitted. We know sometimes you just can’t go away without your most trusted companion and that is why we are proud to be a pet friendly hotel, so you don’t have to miss them whilst you are away. We allow well behaved dogs on a lead in our Byron Whiskey Bar, Reception area and Outdoor Courtyards. We do ask that they are not left in bedrooms unattended at any time. Please note, a small paw print charge of £15 per pet will be charged during your stay to include the use of a drinking/food bowl & dog treats please advise at the time of booking if this is required. Please do inform the reservationist upon booking so we can make sure we allocate a pet friendly room for you. There are many local walks around the hotel so please do speak with reception as they do have an array of leaflets they can provide.